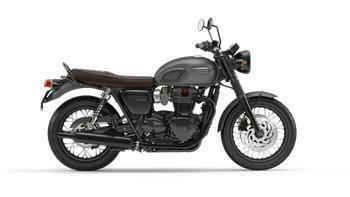 Triumph Motorcycles America is recalling 12,654 model year 2016-2019 Bonneville T120 and Bonneville T120 Black, model year 2017-2019 Bonneville T100 and T100 Black, model year 2017-2018 Street Cup and Street Scrambler, and model year 2016-2018 Street Twin motorcycles. The clutch cable may contact the main harness cover and cause damage to wiring within the main harness. This may lead to a loss of electrical power to various electrical circuits. Triumph will notify owners, and dealers will replace the original securing guide for the clutch cable and main harness with an updated one free of charge. Owners may contact Triumph customer service at (678) 854-2010. Triumph's number for this recall is SRAN560.